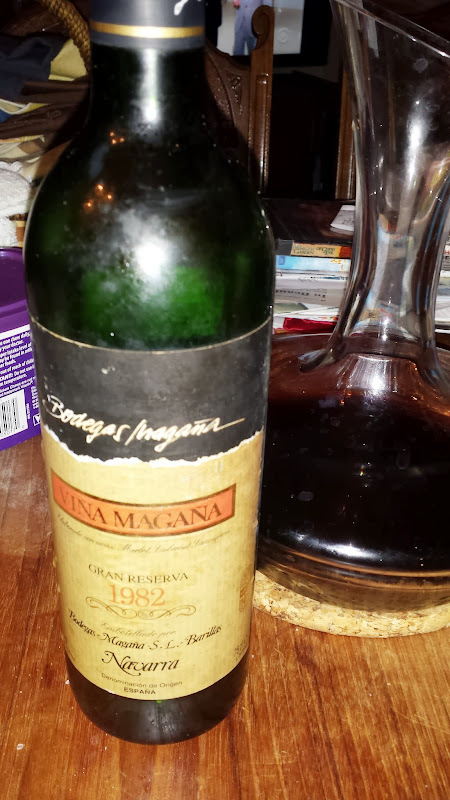 Gerry Dawes's Spain: An Insider's Guide to Spanish Food, Wine, Culture and Travel: Viña Magaña Gran Reserva 1982 Navarra, Merlot-Cabernet Blend, from my cellar, August 18, 2013. In superb condition. 94 pts.